Motorists are advised of planned roadworks starting today on Bramingham Road, between Northwell Drive and Icknield Way. They are being carried out to reinstate the carriageway surface. The works will be taking place between 9.30am and 3pm each day and are planned for five consecutive days, during this time, this section of Bramingham Road will be closed to traffic. There may be some delays and drivers are asked to consider this when planning their journeys. 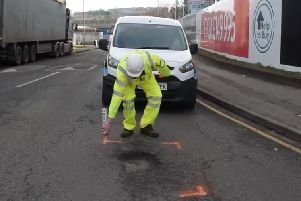 Councillor Paul Castleman, Portfolio Holder for Highways said: “These works are essential to ensure the roads are kept in a good condition for the safety of drivers.